We have many ramp options including wooden ramps, aluminum ramps, and even decoration ramps. There are no permits required for Richmond ramp installation, so your ramp will be installed quickly. 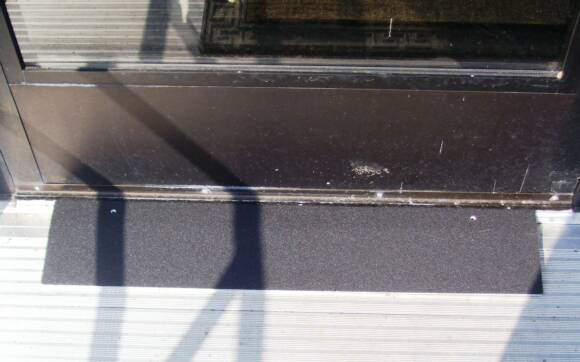 Richmond Ramps doesn't make permanent changes to your property when installing a ramp, so if you move we can easily relocate your threshold ramp without costly repairs. We can custom install your threshold ramp to suit your needs and all of our ramps come installed with a Lifetime Warranty! Our Threshold Ramps make it easy to transition from one room to another, even when the floor coverings change. Some houses or businesses have wooden or tile flooring in some rooms, and carpet in others. Typically, a decorative threshold is used in the doorway to change from one floor type to another. If the threshold sits up more than a half an inch, it is difficult to cross with a wheel chair or some walkers and may need one of our threshold ramps. 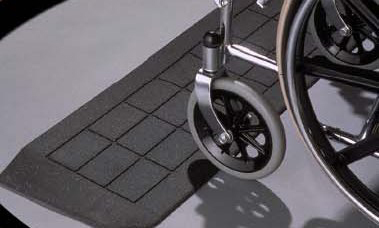 Richmond Ramps provides a number of ramp solutions for indoor use. Sometimes a ramp works best inside of a garage, in a basement, or under a carport. But most of the time, indoor ramps are usually small and used over thresholds. A lot of older homes with wooden floors in some rooms and carpeting in others have decorative wooden thresholds dividing the wood floor from the carpeting. These can be difficult to cross for someone using a wheelchair or walker, and often require a small ramp.